White Season is fast approaching with Niseko Village, the all-season destination, officially opening its doors on 1st December for the 2018/2019 season. Discerning travellers from around the world are invited to experience the region’s legendary champagne powder amidst the world-class facilities available at Niseko Village that redefine the ultimate in alpine luxury living. Guests of Niseko Village will have great access to this powder mecca and its undulating slopes as well as phenomenal backcountry thanks to ski-in ski-out facilities and the improved all-season lift system, opened in White Season 2016. Novice skiers will be able to get in on all the winter fun thanks to Ageimo, the 1.2km beginners’ run that cuts past restaurants, cafes and retail outlets. For the first time this season, Niseko Village will be partnering with ProPeak and Hokkaido Powder Guides to offer backcountry guiding services, showcasing the amazing terrain and countryside of the region. 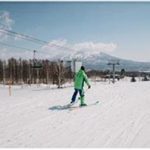 Beginner skiers are also invited to tackle the slopes at their own pace with the Premium Private Lesson available at the Niseko Village Snow School, while the more experienced may opt for the advanced All Mountain Explorer, perfect for those seeking to get a taste of Niseko’s mountain experience. Adrenaline junkies are guaranteed the ultimate thrill with ‘Mizuno No Sawa’ specially controlled terrain that provides some of the steepest runs and powder in Hokkaido. For a different winter adventure, other activities include Reindeer Sledding, Snowmobile Tours, Snowmobile Rafting and a host of other alpine pursuits to suit anyone. With epicurean choices that are as good as endless, gourmands and food lovers alike will be spoilt for choice with the dining options available at the village. From traditional Japanese fare featuring the freshest Hokkaido produce, to international favourites, the village is truly a culinary shangri-la. At The Green Leaf Niseko Village, guests can sample a colourful fusion of Japanese and international cuisines at Goshiki and also retreat to cosy ambience of Tomioka White for coffee après ski or snacks with family and friends. Over at the Hilton Niseko, guests of Pirka will delight in a feast for the senses with the teppanyaki chef’s culinary theatrics and mouth-watering aromas wafting from the finest ingredients cooked on a sizzling teppan plate right in front of you. For the ultimate in après ski entertainment, Niseko Village offers a range of activities including the centuries-old tradition of onsen bathing. Thanks to its mineral-rich thermal waters, this wellness ritual has been practised for generations. The onsen at the Green Leaf and Hilton Niseko Village provides a quintessentially Japanese experience that’s truly memorable. Discover the true meaning of luxurious winter getaways with a stay at the Kasara Niseko Village Townhouse – a collection of townhouses that embody authentic Japanese charm mixed with contemporary elegance. Townhouse guests can make full use of their own personal resident concierge, who is on-hand to assist with every whim and request. A myriad of personalised services is also available to Kasara residents including a personal ski and snowboard locker as well as apparel fittings from the comfort of one’s own townhouse. 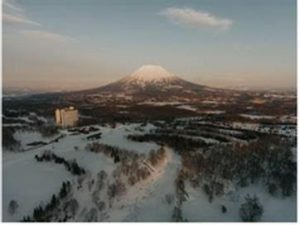 Other locations for a memorable stay in Niseko Village are The Green Leaf Niseko Village and Hilton Niseko Village, with cross-signing facilities available between the three properties. From a little-known winter destination, Niseko Village has evolved into a laid-back and internationally recognised haven for outdoor pursuits. The seamless combination of contemporary and daring activities to the more traditional rituals of onsen bathing topped with the luxurious hospitality offered at The Village, has transformed Niseko Village into the quintessential luxury holiday destination.